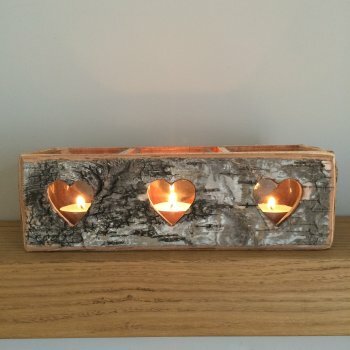 This rectangular t-light holder has been made from silver birch wood and has three pretty heart shapes on the back and front. 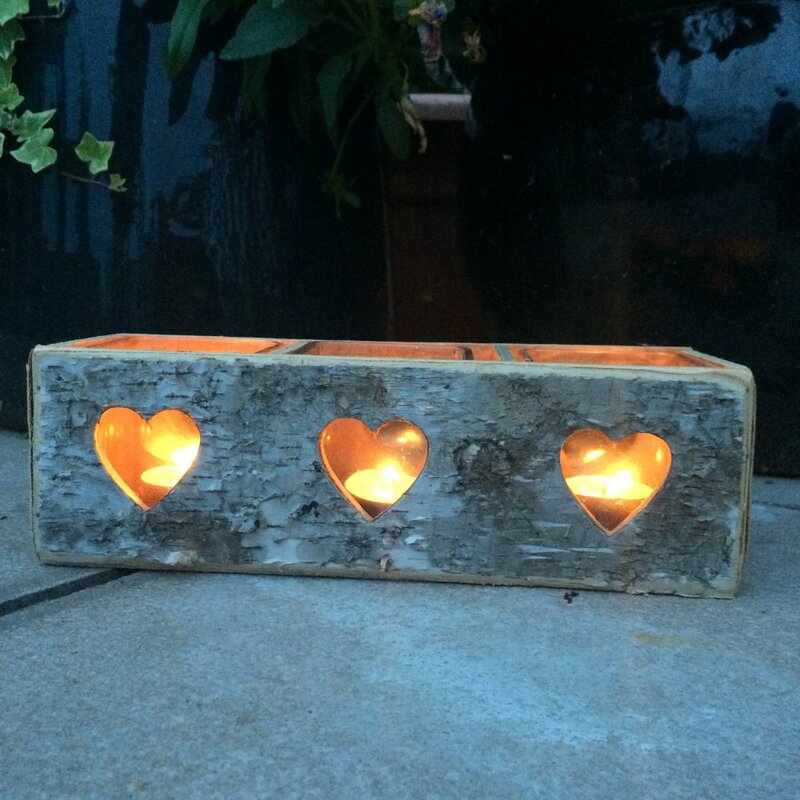 The t-light holder has three glass containers inside which will hold three t-lights. 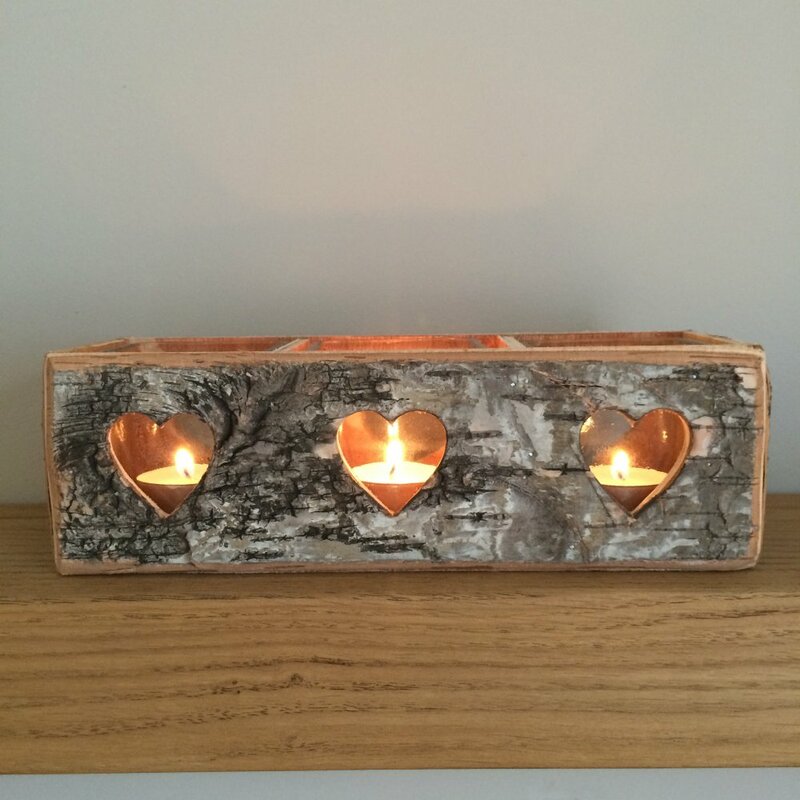 This t-light holder will look great in the home but will look just as good when dining alfresco.